1. Place of Origin: Wuxi, Brand Name: LUOLE. 2. After-sales Service Provided: Engineers available to service machinery overseas. 3. Certification: ISO9001,CE. Color: depend on customer’s requirement. 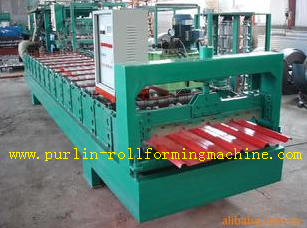 4.Usage: Roof and Wall panel, Production line speed: Max 12m/min. 5. Max temperature of the air: 70℃, Total power: About 2000KW. 6. 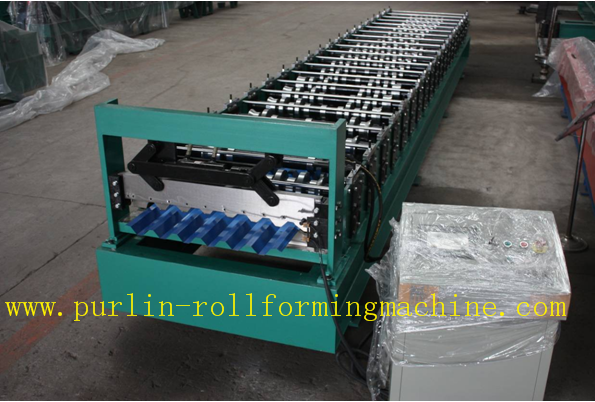 Type: Tile Forming Machine, cold rolling mill. 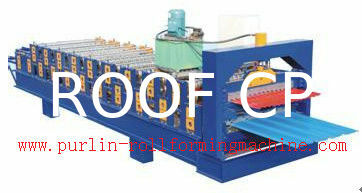 This machine is made up of roll forming machine, molding press, cutting machine, PLC computer control and hydraulic system. The machine is stable, no noise, no shake. Controlling by computer, PLC display, operation is easy, running is steady and reliable, endurable, maintenance-free. 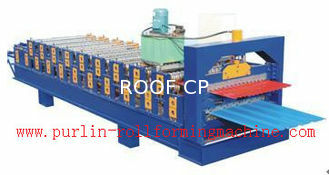 Cutting machine is characterized by stable driving, easy operation. Hydraulic system use the CDF-10 hydraulic pump, long operating life, no noise. 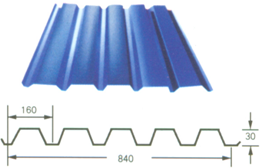 1.This roof panel used as the roofing of holiday flat, attraction, factory& warehouse. 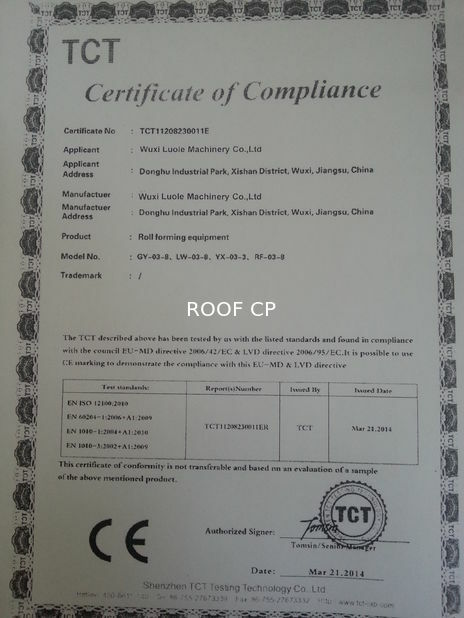 It is easy to realize the reliable and safety installation. 2.Good toughness: with super toughness, There is no necessary to do any treatment among the nail hole, it is sealing and can prevent leaking water. 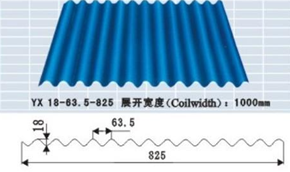 4.Corrosion resistance: strong acid, alkali, salt, anti-static, anti-vapor corrosion, etc. 5.Noise performance: noise performance is good, the noise is rarely slight. 6.The appearance of the shape: color and length can be arbitrarily chosen. 1.We can design and manufacture the special type machine according to the customers’ requirement and we could provide technical guiding, production, installation, debugging and maintenance service to all customers. 2. 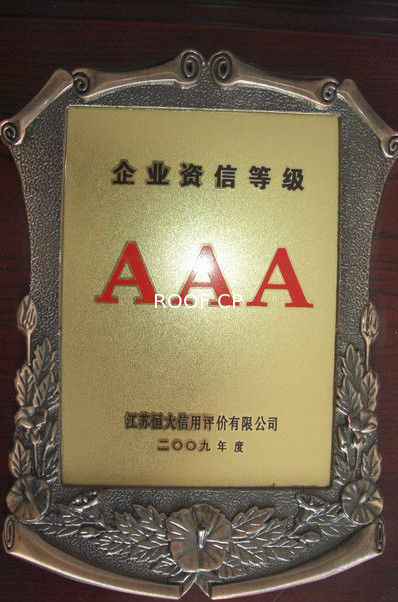 Our product has been exported to many regions and won high reputation because of the high quality and reasonable price. 3. Our product have high quality and reasonable price. 4. Good after service and 1 year warranty. 5. More Than 15 Years Experiences and many times improvements by our engineers.